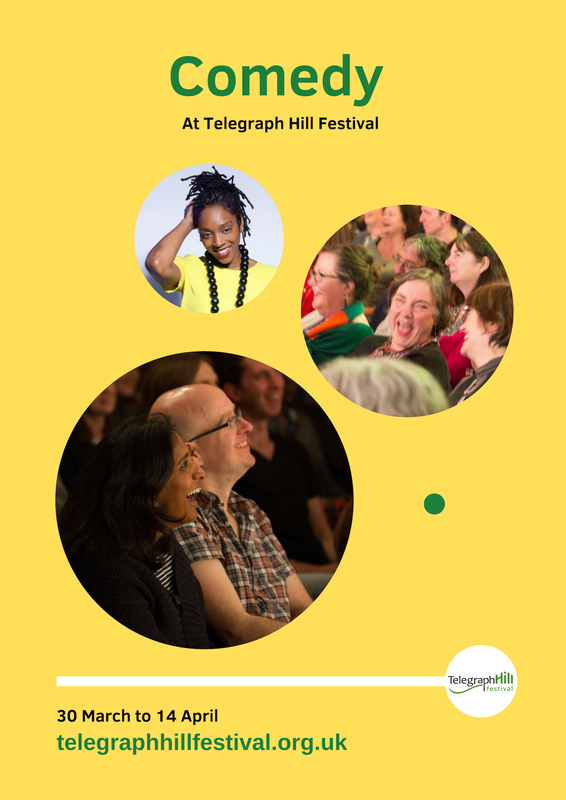 Meet the amazing talents who will entertain you at the 25th anniversary Telegraph Hill Festival's refreshed Comedy Night. COMEDY NIGHT – part of the 25th anniversary Telegraph Hill Festival! 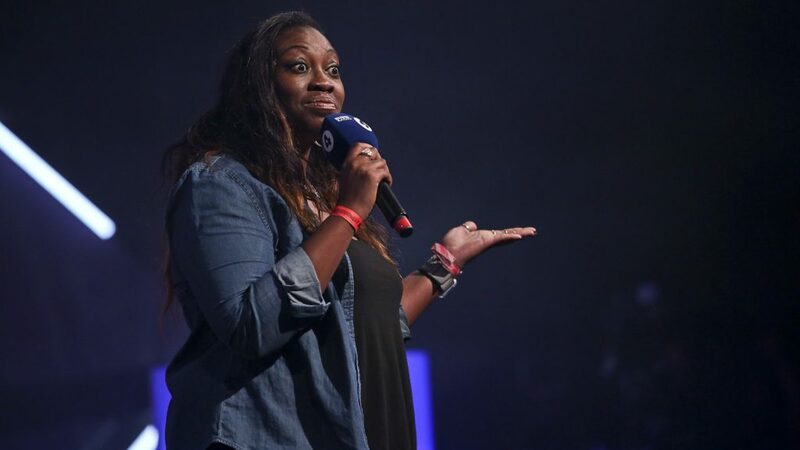 A raft of fresh faces are being brought together for you by renowned comedian Athena Kugblenu. Flushed with success on Russell Howard’s Good News and Russell Howard Hour, BBC Radio 4, Edinburgh Festival, London’s Soho Theatre and Up the Creek, these award-winning local talents will dazzle, discombobulate, and delight you with their off-beat takes on our topsy-turvy world. Expect anarchy, surrealism, dark humour, and a good grown-up laugh to shake you out of atrophy. Due to unprecedented demand we released extra tickets which have all sold! Come on the night and you might be lucky if there are any returns/no-shows. 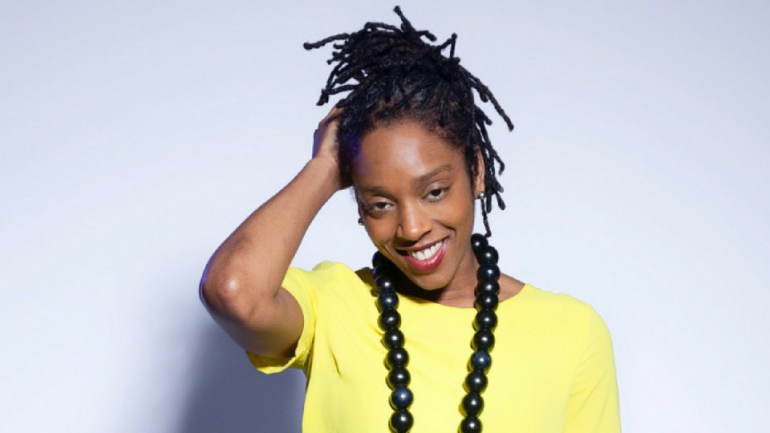 Sikisa, also known as Twix, was born in South London but has never forgotten her Bajan background when she is on stage. She stormed 2017’s BBC New Comedy Award competition with her authentic, fearless and vivacious personality and on-stage presence. She is a young stand-up who is quickly making a name for herself on the comedy circuit with her unique style and her hilarious tales about life and love. She is a resident MC at some of London’s popular comedy nights and she has filmed for Comedy Central. IAN LANE is an accessibly surreal performer whose act has been summarised by One4Review as “friendly absurdism, delivered in a recogniseable stand-up style”. 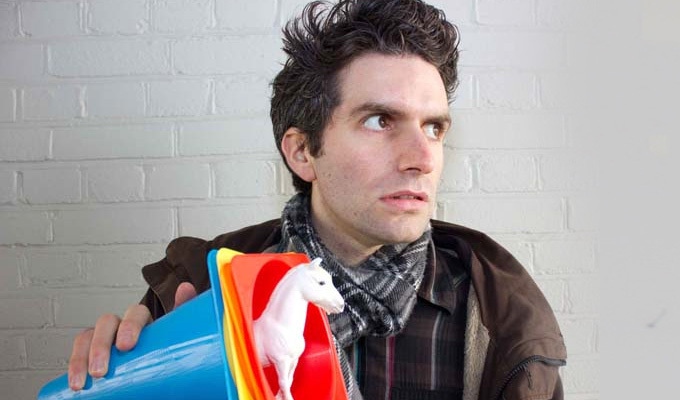 His set draws upon absurdist autobiography, obtuse one-liners and perturbing props, all delivered in a manner once described as “like an evil Joel Dommett” (Luke Benson). A London-based comic, he has reached the final of the Leicester Square Theatre New Comedian Of The Year competition, twice made the semi-finals of the BBC Radio New Comedy Award (as broadcast on BBC Radio 2, Radio 4 and Radio 4Extra), won/survived numerous gong shows (‘King Gong; Beat The Frog; Up The Creek’s The Blackout), and performed two full length shows – “Bodily” and “ALOOF!” – at the Edinburgh Fringe, as well as at various other comedy festivals up and down the country. 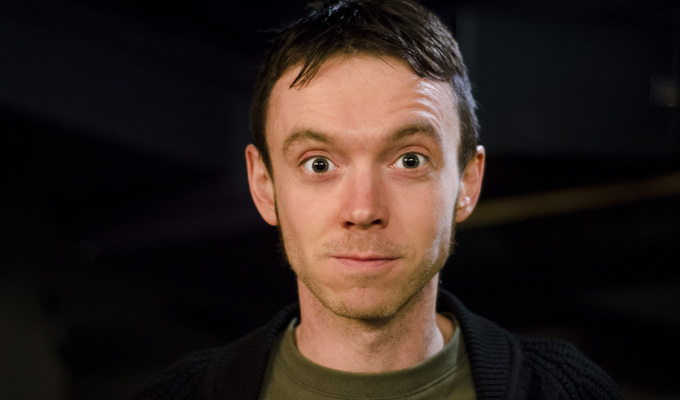 Ben Clover is an award-winning stand-up and writer, who has performed across the world.Ben is Lewisham born and bred and went to school in the area! He returns to the Edinburgh comedy festival with his fifth solo show this year and is a regular act and compere on the London circuit. A former South London Press reporter, he has also won prizes for screen-writing and is a regular contributor to comedy shows on the BBC and Comedy Central. Rising star, Kemah Bob is an exciting stand-up comedian, writer, improviser, drag king, presenter and producer from Houston, Texas – and is proud of drinking the same tap water as Beyoncé. Currently based in London, after studying at the Upright Citizens Brigade in Los Angeles, Kemah moved to the UK to obtain an MA in TV, with the mission to Make Television Great Again! Her material centres around Black cultural identity, mental health, sexuality and gender, using comedy as a tool for enlightenment and empowerment. 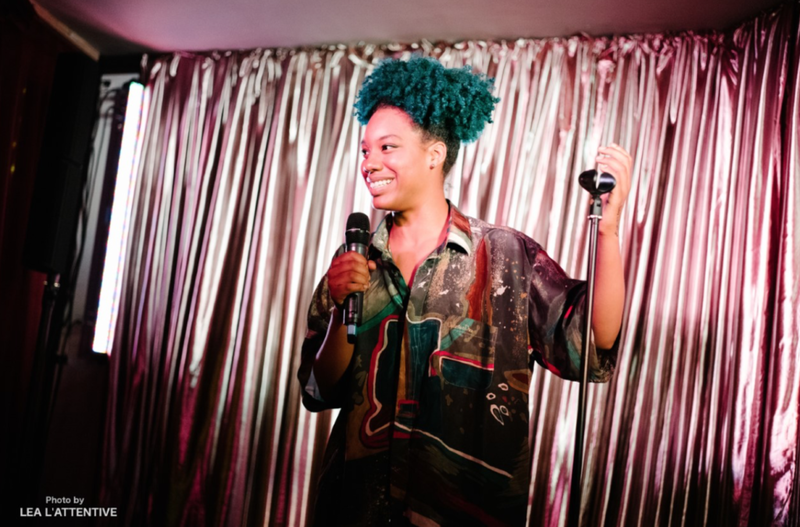 In addition to performing stand-up and hosting events in London and around the UK, Kemah also runs The FOC IT UPComedy Club, a monthly showcase of Femmes of Colour in comedy. Alongside stand-up Kemah also hosts UNSTABLE on Transmission Roundhouse, a radio show chronicling her navigation of mental health and adulthood. She is a regular guest on the Guilty Feminist podcast and has performed to sold-out audiences at their Live shows at The London Palladium. On the small screen Kemah has appeared on BBC Three and most recently wrote and appeared in sketches for Deborah Frances-White’s pilot for Channel 4; Next Week’s News. She can also be heard on Grown-Up Land & Global Pillage. 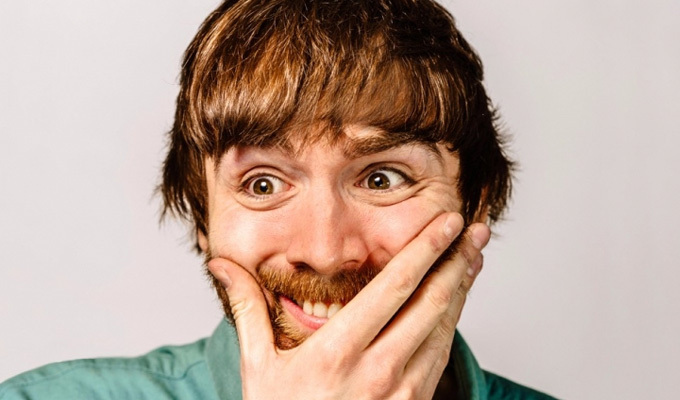 Ian Smith is a multi-award winning comedian who has appeared on Sweat the Small Stuff (BBC3), The Funny Thing About… (Channel 5) and BBC Three at the Fringe. He’s also one third of iTunes top-charting podcast, The Magic Sponge, alongside Rob Beckett,and is a regular writer on The News Quiz and The Now Show (BBC Radio 4). His Edinburgh Fringe shows have received critical acclaim, runs at Soho Theatre and seen him invited to perform at New Zealand Comedy Festival. Athena is a comedian and writer trying to dismantle the current world order by making people who disagree with her laugh. A BBC New Comedy Award finalist, her writing and performance credits include News Quiz, The Now Show, Museum of Curiosity, Loose Ends and BBC Scotland’s Breaking the News. She’s written sketches for BBC 4 (Sketchtopia), and written and presented online and print content for Stylist Magazine and Time Out. Athena’s taken two acclaimed hours to the Edinburgh Fringe where her writing always makes the best jokes lists of The Guardian, Independent and The Telegraph. Her stand up has been demanded in Europe, Dubai and Johannesburg. A respected commentator, Athena is a regular co host of The Guilty Feminist podcast and was invited to be a regular co-presenter of the Arts Hour on BBC Five Live in 2018.